Hey Idaho Falls . . . are you brave enough to take the plunge? This is a community fundraising event and all proceeds will go to the Idaho Falls Community Food Basket. 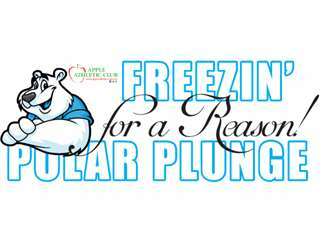 You can take the plunge yourself for $10 OR nominate a friend. BUT, if the friend matches your $10 donation they don't have to take the plunge. Want to do it as a group with friends, family or co-workers? Put a team together and the team that raises the most money will win a super fun Summer Pool Party Package! The minimum team entry fee is $50. Sign up deadline is noon on Friday, January 18th. Register at the Member Service Desk today or pick up a team registration form. Just be sure to return it, along with your team donation by the sign up deadline. Chapolera Coffee will be on site with warm drinks and coffee to help take the chill off.